Hello, it's Claire (Newcombe) with you today, for my first inspirational post here. I thought I'd show you something that I made just before Christmas with the first sample of the first cross stitch kit that Sarah has designed. 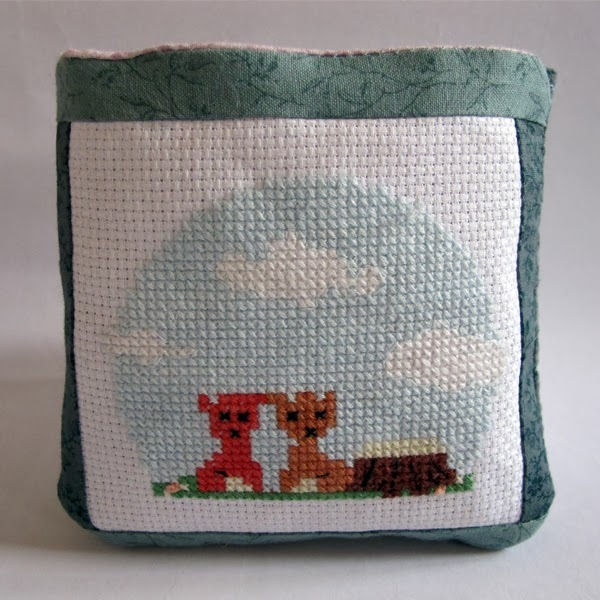 I used to cross stitch alot, but as many of you will relate to, your life moves on with either family or you develop interests and passions for other crafts and finding the time to get back and revisit old loves is not always easy. So I was thrilled to have the opportunity to stitch again with this gorgeous kit, and when finished, my mind got to wondering how best to finish off and frame these two little cuties. Like any crafter, I am a magpie for anything with a pretty pattern, and that extends to fabric. It just so happened that I had a set of fat quarters (the quilting term for a manageable piece of fabric, 18" by 22" from which you cut your patchwork pieces)...... the quilters equivalent of 12" x 12" sheet of paper, if you like! I have had these turquoise fabrics stashed for many years, and it just so happened to match Sarah's colour of choice for her website & packaging. 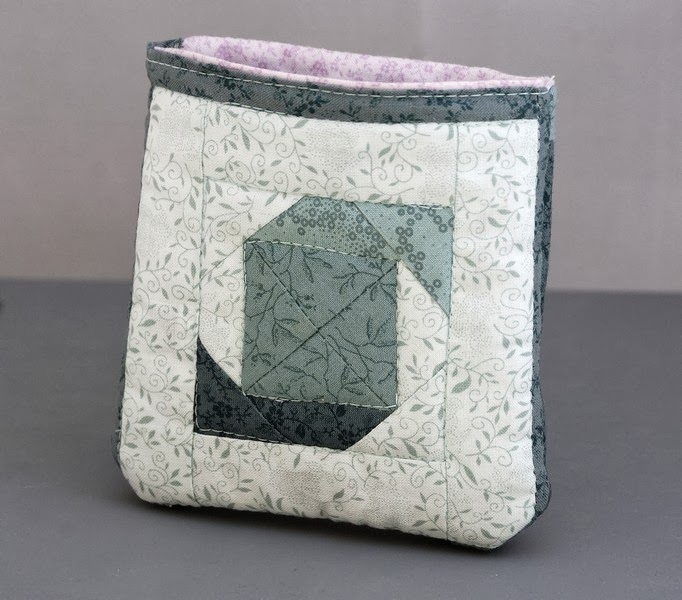 So, out with the sewing machine it was, and a little bit of patchwork and quilting started to take place, creating the pouch you see above. I sized it to hold microwaveable hand warming gel pads, as a christmas present and thank you to Sarah - and to highlight the fabulous designs she create. I hope that it has inspired you to perhaps think outside the box a little, to create items that be incorporated into your everyday life and remind you of how crafty you are. Be sure to check back daily for more inspiration from our team, and then if you have time, sit for a few minutes and browse back through posts that have already been.